Sorry to be absent for so long, but it’s been a crazy few months since the last post. As the legal process grinds on, I’m happy to report that the case is moving along, with one guilty plea and another expected later in July; both are facing 15 years. In the meantime, I thought it might be helpful to respond here to some of the most frequent questions that keep coming up. You must be thrilled that everything ended up so great and you can get on with your life. What’s taking so long with the case? Things are nowhere near finished, and won’t be until after both are sentenced and (presumably) put away for an appropriate amount of time. Although it may seem like it’s taking forever with such a mountain of evidence and (hopefully) obvious outcome, I’m told that this process has actually moved forward faster than the norm, certainly more rapidly than if it were in Federal court. And in the meantime both suspects are still out on bail, and my life is very different. What were they thinking they would do with it after it was stolen? I have no idea. Among many other things this case illustrated is the fact that there is no “underground market” for Stradivaris. You can’t just fence them, and the majority are extremely well-documented and instantly identifiable. If you steal a high-end instrument, the overwhelming odds are that you’ll get caught and it’ll be found sooner or later. At least you got everything back in good condition, right? I got everything back in playable condition. The violin did have a few bumps and bruises, as did the bows. That’s a miracle considering they were all left in an attic (in a suitcase) for 9 days in often sub-zero temperatures. Properly handling something like a Strad was not a high priority after its theft. What’s it like to get Tasered? Not fun. Unless your idea of fun is about 50,000 volts when it’s -7 degrees outside. It’s very painful, and certainly an effective way to incapacitate someone (especially for police that have been properly trained to use it), but there have also been numerous reports of injuries and/or death associated with Tasers. They are illegal in several states (for civilians), and many cities and counties have strict guidelines on their possession and use. There’s a lot of info (or links to info) on the Wiki page here. So this wasn’t an insurance scam, or PR stunt for the Milwaukee Symphony? I’ve actually had people ask me these questions directly, sometimes in person. And unsurprisingly the online trolls went crazy, especially in early February. So for you conspiracy theorists (and former oboists) who publicly accused the owner and myself of insurance fraud (or worse), I look forward to a robust discussion if we ever happen to meet in person, or maybe an apology. I admit that one of my favorite moments was back in March, towards the end of a post-concert conversation I was having with a musician from another orchestra; he declared this event my “Nancy Kerrigan moment”. That analogy never really occurred to me, and I’m still not sure exactly what he meant. For the other 98% of you who sent me nothing but messages of encouragement and support, thank you again. And I continue to be grateful for the ongoing efforts and awareness from the Milwaukee Police Department, the Milwaukee County District Attorney, musicians and staff of the Milwaukee Symphony, and the FBI. I look forward to moving on from this, and even posting something about another subject. 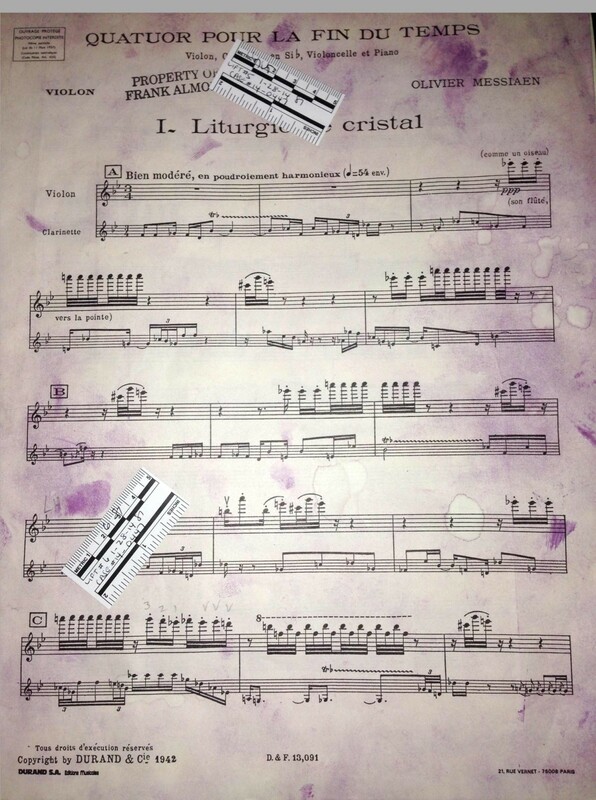 Note: This is what happens when they dust your music for fingerprints. Thanks for the update, and the classy way you have handled the entire situation.